I was on vacation this last week and I got through a log of reading from the blogs I follow. I also saw a lot of funny videos, I thought I'd share. Here we go with another installment of "My YouTube History". No, not really. "Leaked Star Wars Episode VII Filmset Footage! http://t.co/jZc0rYNtBe via @youtube"
Amazing. Haha. "How To Make A Hit Pop Song http://t.co/vaKPD88KZV via @youtube"
I got to drive a Tesla Model S. And what's amazing to think about is the fact I was trying to figure out how to come up with $80,000+ dollars for the base model car immediately after the drive. I want one of these brilliant cars. First, I'm not a share holder, I'm not a rich man, and I'm not an employee of any kind. I'm a car nerd...or at least I used to be. Now you can tell, I don't blog about anything anymore. Second, I'm not an environmentalist, nor do I focus on what "my part" is in protecting our planet. Third, I'm not really an early adopter. It took me a model to finally get into the iPhone because I wasn't sure I could deal with the first generation bugs. You get the point. This is more about the test drive, not the tweets about Musk and his companies anyway. Find more tweets and retweets on my Twitter profile @jimmythegun. So the car. The first great thing about it was the door handle. It slid out from being flush with the door as I approached with the key fob in my pocket (or in the dealer employee's pocket). I sat down into a sporty and supportive seat, which I was about to find out is needed. At that point all the computer systems lit up. The massive screen that acts as the control center for everything from the A/C to the way the car handles a corner was beautifully laid out, simple but smart, clean and clear. The control center was done, in a word, "Right". The way the rest of the automotive industry tries to do intelligent car computers is not done by people who think about the user experience. Telsa obviously did. Okay, so the A/C kicked on and that was the only noise in the car. The salesman turned it off for a bit, to show me the car was virtually silent. He told me to press on the brake, move the lever into drive, and go. No start up, no initiation of the motor, nothing. Have you ever sat in a golf cart and hit the gas (or the "go pedal" as I'm going to call it, because there is no gas in this car)? Yeah, it was like a really nice, powerful, version of the immediate response you get from a golf cart. And if you think about it, it's a similar idea, with nothing more in common to a golf cart than a battery powered motor. I silently leaped off the lot. With the A/C turned back on, I literally only heard the noise of the air moving within the cabin. It was weird and cool at the same time. I pressed down firming on the "go pedal" as I turned onto the street. The Tesla Model S quickly got us to 60mph, faster than I think I've ever really experienced...at least in a sedan. We headed toward the freeway, where I was going to really "open her up". As we approached the on-ramp, I realize I had a fairly sharp 180 degree challenge for the car. The salesman agreed that I should push it a little to "experience the car's low center of gravity" thanks to the battery design and placement along the bottom of the length of the car. I actually chickened out of the speed I was pushing the car to because it was that fast. There was no roll, no sloppy handling, no feel of sliding. The Model S hugged the curve and we reached 80mph the legal speed limit in no time. This car can keep up with anything on the freeway and can work over probably 99% of them. It was fast, powerful, and silent. Also, as we approached the rear of a slower and weaker vehicle, I didn't have to brake. As I let off the go-pedal, the regenerative braking feature kicked in. This is a designed battery recharging system that uses the cars forward movement to recreate energy to recharge the batteries, naturally slowing you down as it steals that energy. After the freeway test, the salesman took me into the winding back-roads of the county. The quick and powerful motor, along with the regenerative braking, made driving this road hugging sedan a cool and sporty experience. I was able to power through and out of corners with the lower center of gravity and the amazing performance that comes from the car's standard 302hp (which I'm sure is outrageously fast and powerful if you get the performance upgrade to the 416hp version). I tried pushing it to its limits, but didn't find them. The car handled everything I asked of it, even keeping the power on the road when I tried to break the back-end loose. The salesman did tell me later, they were not allowed to turn off the traction control, which is the only reason I wasn't able to smoke the tires on this rear wheel drive sedan. As we returned to the dealership, which really isn't a dealership where I live, but a service center with a small showroom, I couldn't help but sit and design my Telsa Model S. And that's where I learned, the base model with only the upgrade of the battery and the technology package pushed this impressive car north of $80,000.00. And, while this is standard pricing for a luxury car like the Model S clearly is, it was out of my price range. So, what's next for Tesla? Well, Musk laid it out in Telsa's share holders meeting. 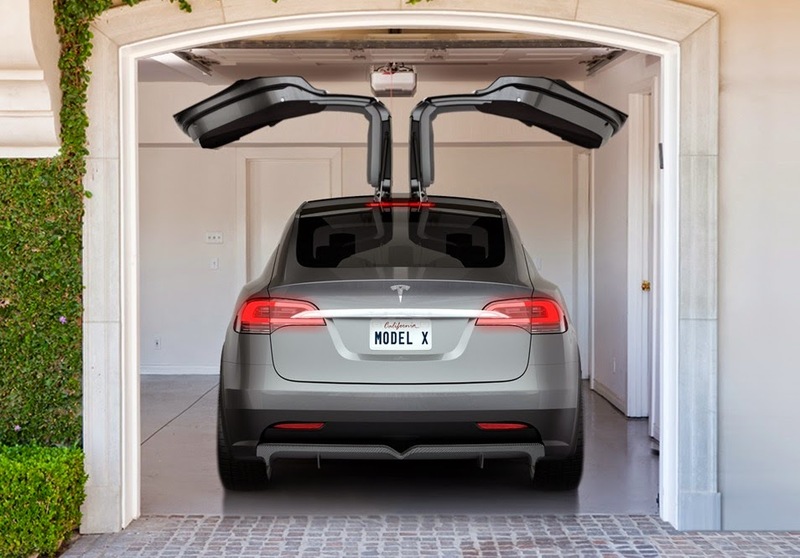 Next up is the Model X, a crossover, SUV type with all-wheel drive and falcon wing rear doors. After that, the company will begin its mass production Model "E" (which is not really the name, since Ford told Telsa they'd sue over it). This mass production model should be a $30,000.00 vehicle for the rest of us. I'd be willing to bet, however, that Musk and the Tesla team do it with many of the same features found on the most amazing all electric vehicle, the Model S. Someday, I hope I can drive something from this amazing car company and it's CEO and our generation's Albert Eisenstein level genius, Elon Musk. I did borrow all the photos from Tesla's website, since I forgot to take pictures of my own. Next time I drive a Tesla or go by the dealer, I'll get some of my own images. For now, hopefully, they are cool with me using their stock images.